These Single-Sided Non-Vented Shelves are the most commonly used non-vented shelves for use in both open frame racks and floor enclosures. They are available with depths of 7" - 15", and the non-vented design makes it ideal for an open rack installation where venting is not necessary. 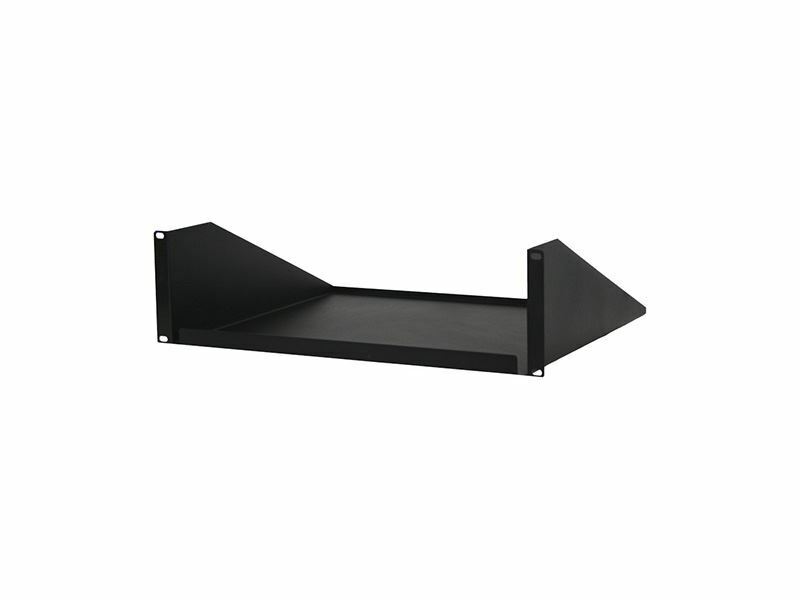 These shelves have an equipment weight capacity of up to 41 pounds, based on size of shelf, These shelves are also available in a vented version, and all come complete with a set of #12-24 mounting screws and has a black powdercoat microfinish to match rack and enclosure color.